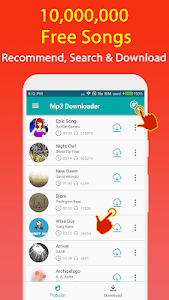 Free Music Mp3 Download & Mp3 Music Downloader is a simple and powerful app to Search unlimited music, listen and fast download copyleft Mp3 music For Free, easily cut mp3 song and set ringtone. 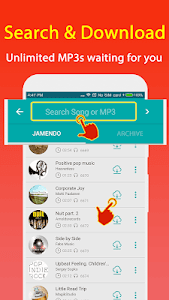 Lite music downloader gets free mp3 music from Jamendo music and Free Music Archive, you can Listen to music songs online and offline. 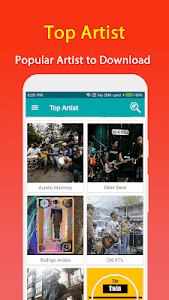 Download now: Mp3 songs download and music downloader, enjoy the music and involved in beautiful mp3 songs!
? Great data set, more than a million high quality mp3 tracks. 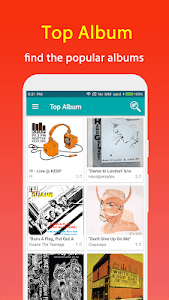 One of the biggest free mp3 music storage. 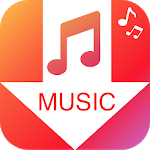 Search music audio, artist or album you like, mp3 download fastest and Play CC licensed mp3 music. 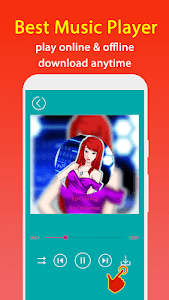 Browser popular songs，albums or artists, you can quick download mp3 as you like. Audio Cutter for you, just need to set the start & end for the audio clip, trim your favorite parts of the song in seconds. 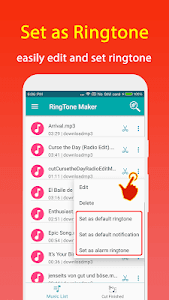 Ringtone cutter sets the ringtones of your calls, notifications and alarms to be ringtone creator. ⚠ This app allows FOR NONE COMMERCIAL USAGE ONLY! All tracks are available for personal usage (not for commercial purposes). ⚠ Using http://www.freemusicarchive.net/ in compliance with Free Music Archive API Terms of Service. 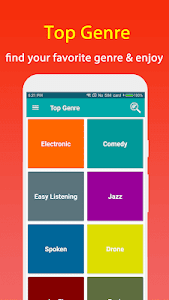 All music available is under Creative Commons License and license links are always available to app users. ⚠ Permission "android.permission.WRITE_SETTINGS" needed for set ringtone for yourself if you want to set ringtone. Feature: automatically add downloaded audio into media library. 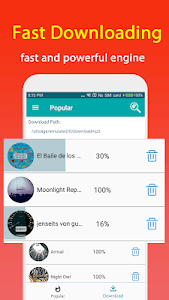 Similar to "Mp3 Music Download : Free Music Downloader"